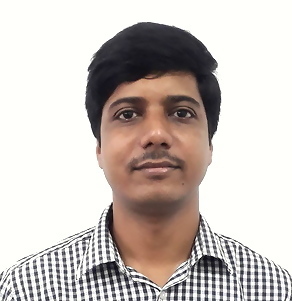 The primary research area of Dr. Sengupta includes pharmacokinetic, toxicokinetic, metabolic profiling of chemical entities in discovery and formulation development phase; Analytical and Bioanalytical method development, validation using HPLC, UPLC, LC-MS/MS; Impurity profiling, compatibility and stability analysis of pharmaceuticals. Assistant Professor, Department of Pharmaceutical Analysis, NIPER Ahmedabad, Gujarat, India. Assistant Professor, Department of Pharmaceutical Technology, International Islamic University Malaysia, Pahang, Malaysia. Senior Lecturer and Head of the Department, Pharmaceutical Chemistry, Faculty of Pharmacy, Lincoln University College, Selangor, Malaysia. Senior Executive, Analytical Development, Quality Control department, Fresenius Kabi Oncology Ltd, India. SRF-AICTE, Bioequivalence Study Centre, Jadavpur University, India. Junior Scientist, Drug Metabolism and Pharmacokinetics department, Discovery Research division, Dr. Reddys Lab Ltd., India. ‘Professor Anupam Sengupta Memorial Medal’ for academic excellence in Pharmaceutical Chemistry in M. Pharm awarded by Jadavpur University, India (2006). ‘Best Oral Presentation Award of ICCE, Thailand’ in International Congress of Chemistry and Environment Conference (ICCE) at Ubonrathchathani, Thailand (2010). National Doctoral Fellowship (NDF) awarded by All India Council for Technical Education (AICTE), India (2009). UGC Research Fellowship in Science for Meritorious Students awarded by University Grant Commission (UGC), India (2008). UGC Scholarship for pursuing M. Pharm., awarded by University Grant Commission (UGC), India (2004). Title: Naso-mucosal absorption of neuronal drug by sol-to-gel delivery system to target brain: approach to dose reduction. Tenure: 2 years 2 months. Funded by: Ministry of Higher Education, Govt. of Malaysia, Fundamental Research Grant Scheme (FRGS). Title: Evaluation of safety profile of a Fixed dose combination of Antidiabetic and Antihypertensive drug by toxicity profiling and pharmacokinetic interaction study. Title: Optimization of asiaticoside purification from Centella asiatica extract and development of asiaticoside gel formulation for topical application. Funded by: IIUM, Govt. of Malaysia, Research Initiative Grant Scheme (RIGS). Title: Aqueous gel based topical nanoemulsion; An approach to enhance the bioavailability of lipophilic drugs. Consultant for IIUM Bioequivalence Study Centre (iBEST), 25200 Kuantan, Pahang, Malaysia. Kavya Sri Nemani, Amit Shard and Pinaki Sengupta. Establishment of a quantitative bioanalytical method for an acetylcholinesterase inhibitor Ethyl 3-(2-(4-fluorophenyl) amino)-4-phenylthiazol-5-yl)-3-oxopropanoate including its physicochemical characterization and in vitro metabolite profiling using Liquid Chromatography-Mass Spectrometry. Journal of Chromatography B. In press. DOI: https://doi.org/10.1016/j.jchromb.2018.08.019. Impact Factor: 2.441. Nripendra Madhab Biswas, Amit Shard, Sagarkumar Patel and Pinaki Sengupta . Drug development and bioanalytical method validation for a novel anticancer molecule, 4-(Dimethylamino)-2-(p-tolylamino) thiazole-5-carbonitrile. Drug Development Research. In press. DOI: 10.1002/ddr.21462. Impact Factor: 2.646. Bappaditya Chatterjee, Pinaki Sengupta . Formulation of Dispersed Gliclazide Powder in Polyethylene Glycol-Polyvinyl Caprolactam-Polyvinyl Acetate Grafted Copolymer Carrier for Capsulation and Improved Dissolution. Indian Journal of Pharmaceutical Education and Research. Accepted. Impact Factor: 0.351. Pinaki Sengupta , Bappaditya Chatterjee and Rakesh Kumar Tekade. Current regulatory requirements and practical approaches for stability analysis of pharmaceutical products: A comprehensive review. International Journal of Pharmaceutics, 2018. 543 (1–2); 328-344. Impact Factor : 3.862. Pinaki Sengupta, Bappaditya Chatterjee. Potential and future scope of nanoemulgel formulation for topical delivery of lipophilic drugs. International Journal of Pharmaceutics, 2017. 526 (1-2); 353–365. Impact Factor:3.649. Bappaditya Chatterjee, Samah Hamed Almurisi, Ather Ahmed Mahdi Dukhan, Uttam Kumar Mandal &Pinaki Sengupta. Controversies with self-emulsifying drug delivery system from pharmacokinetic point of view. Drug Delivery. 2016; 23(9); 3639–3652. Impact Factor:6.402. Hira Choudhury, Bapi Gorain, Manisha Pandey, Lipika Alok Chatterjee, Pinaki Sengupta, Arindam Das, Nagashekhara Molugulu, Prashant Kesharwani. Recent update on nanoemulgel as topical drug delivery system. Journal of Pharmaceutical Science. 2017; 106; 1736-1751. Impact Factor:2.713. Hira Choudhury, Bapi Gorain, Bappaditya Chatterjee, Uttam Kumar Mandal, Pinaki Sengupta, Rakesh Kumar Tekade. Pharmacokinetic and Pharmacodynamic Features of Nanoemulsion Following Oral, Intravenous, Topical and Nasal Route. Current Pharmaceutical Design, 2017;23: 2504-2531. Impact Factor: 2.611. Pinaki Sengupta, Arindam Das, Fuzianna Ibrahim, Uttam Kumar Mandal, Bappaditya Chatterjee, Syed Mahmood, Sreemoy Kanti Das, Muhammad Kifayatullah. Safety profiling of pioglitazone and telmisartan combination by sub-chronic toxicity study in rat. Regulatory Toxicology and Pharmacology, 2016, 81; 155-161. Impact Factor:2.221. Uttam Bhaumik, Animesh Ghosh, Bappaditya Chatterjee, Pinaki Sengupta, Soumendra Darbar, Bikash Roy, Utpal Nandi, Tapan K. Pal. Development and Validation of a High-performance Liquid Chromatographic Method for Bioanalytical Application with Rimonabant. Journal of Pharmaceutical and Biomedical Analysis, 2009, 49, 1009-1013. Impact Factor:3.255. Pinaki Sengupta, Utpal Nandi, Tapan Kumar Pal. Development of safety profile evaluating pharmacokinetics, pharmacodynamics and toxicity of a combination of pioglitazone and olmesartan medoxomil in Wistar albino rats. Regulatory Toxicology and Pharmacology, 2012, 62, 7-15. Impact Factor: 2.221. Pinaki Sengupta, Amlan Kanti Sarkar, Uttam Bhaumik, Bappaditya Chatterjee, Bikash Roy, Uday Shankar Chakraborty and Tapan Kumar Pal. Development and Validation of a LC-ESI-MS/MS Method for Simultaneous Quantitation of Olmesartan and Pioglitazone in Rat Plasma and Its Pharmacokinetic Application. Biomedical Chromatography, 2010, 24, 1342-1349. Impact Factor:1.613. Pinaki Sengupta, Uttam Bhaumik, Animesh Ghosh, Amlan Kanti Sarkar, Bappaditya Chatterjee, Anirbandeep Bose, Tapan Kumar Pal. LC-MS/MS Development and Validation for Simultaneous Quantitation of Metformin, Pioglitazone and Glimepiride in Human Plasma and its Application to a Bioequivalence Study. Chromatographia, 2009, 69 (11/12), 1243-1250. Impact Factor:1.402. Addepalli V. Ramani, Pinaki Sengupta and Ramesh Mullangi. Development and Validation of a Highly Sensitive and Robust LC-ESI-MS/MS Method for Simultaneous Quantitation of Simvastatin Acid, Amlodipine and Valsartan in Human Plasma: Application to a Clinical Pharmacokinetic Study. Biomedical Chromatography, 2009, 23, 615-622. Impact Factor:1.613. Title: Synthesis, anticancer and antimicrobial potential of oxadiazoles.Publisher: Lambert Academic Publishing, Germany. Date published: 17th November, 2016. Title: A pharmaceutical composition comprising a combination of pioglitazone and telmisartan. Development and validation of a bioanalytical method for simultaneous quantification of acebrophylline, levocetrizine and pranlucast in rat plasma by RP-HPLC. APA India 2018, Pune, 2018. Physicochemical characterization and metabolism site prediction of NIPER1517MC01AR04 using computational and experimental methods. CPSBT-2018, Ahmedabad, 2018. Physicochemical characterization of boronic acid derivative AMS-AZ-13 by computational and experimental methods. CPSBT-2018, Ahmedabad, 2018. Physicochemical characterization of NIPER1416MCRT16 using computational and experimental methods. CPSBT-2018, Ahmedabad, 2018. Comparison of extraction techniques in preparation of rat plasma samples for bioanalytical study of eluglustat. CPSBT-2018, Ahmedabad, 2018. An insight on extractables and leachables profiling from pharmaceutical packaging components: A review on current analytical techniques. CPSBT-2018, Ahmedabad, 2018. Development and validation of bioanalytical method for NIPERAMCD1214JKAF, a potent anti-diabetic agent: application to pharmacokinetic study. CPSBT-2018, Ahmedabad, 2018. Development of a stability indicating RP-HPLC method for trimethobenzamide by QbD approach. CPSBT-2018, Ahmedabad, 2018. Formulation of a nanoemulsion for topical delivery of raloxifene. 31st Malaysian Society of Pharmacology and Physiology conference, 2017, Kelantan, Malaysia. Physical characterization of a developed raloxifene nanoemulsion formulation. 4th Pahang State Pharmacy Research and Development Convention, 2017, Kuantan, Malaysia. Development and validation of a LC- MS/MS method for simultaneous quantitation of telmisartan and pioglitazone in rat plasma. 2nd International Conference on Industrial Pharmacy, 2016, Kuantan, Malaysia. Beneficial Alteration of Blood Biochemical Parameters by Telmisartan-Pioglitazone Combination in Rat. 2nd International Conference on Industrial Pharmacy, 2016, Kuantan, Malaysia. Evaluation of safety profile of a fixed dose combination of pioglitazone and telmisartan in terms of oral subchronic toxicity study in rat. 4th International Conference on Pharmaceuticals, Nutraceuticals and Cosmetic Science, 2015, Melaka, Malaysia. Stability Indicating RP-HPLC method for simultaneous determination of Tramadol hydrochloride and Aceclofenac in dosage form. 12th MPS Pharmacy Scientific Conference, 2015, Kualalumpur, Malaysia. Phytochemical and toxicity study of standardized extract of Epipremnum aureum in rodents. 12th MPS Pharmacy Scientific Conference, 2015, Kualalumpur, Malaysia. Development and Validation of a LC-MS/MS Method for Simultaneous Quantitation of Olmesartan and Pioglitazone in Human Plasma. Special Issue of Research Journal of Chemistry and Environment, International Congress of Chemistry and Environment Conference, Jan 2010, Ubonrathchathani, Thailand. Comparative Bioequivalence Study of Levofloxacin Tablets in Healthy Indian Volunteers. 62 Indian Pharmaceutical Congress, 2010, Ahmedabad, India. Development and Validation of Method for Quantitation of Amisulpride in Human Plasma. Special Issue of Research Journal of Biotechnology, 1st International Society BioTechnology Conference, Dec 2008, Gangtok, Sikkim, India. Simultaneous Quantitation of Rosiglitazone and Glibenclamide in Human Plasma by LC-MS/MS; Method Development and Validation. Special Issue of Research Journal of Biotechnology, 1st International Society BioTechnology Conference, Dec 2008, Gangtok, Sikkim, India. Evaluation of anticancer and antimicrobial activity of 1, 3, 4-oxadiazole derivatives. 59 Indian Pharmaceutical Congress, 2007, Varanasi, India.